Jeff was appointed as the Chief Executive Officer for Pallium Canada in December, 2017. 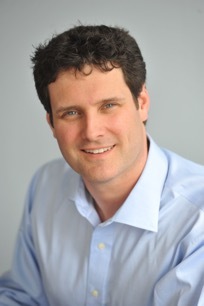 Prior to joining Pallium, Jeff was the President of Partners for Mental Health, a national registered charitable organization that uses partnerships, public engagement and strategic initiatives to transform the way Canadians think about, act towards and support mental health and people living with a mental illness. Beginning his career as marketing executive for Petro Canada’s private label credit card, Jeff continued to build experience in the financial services sector as Assistant Vice President for Citibank Canada and Bank One International and later Vice President of Marketing for Alterna Bank. In these roles, he was responsible for strategic marketing activities that supported brand building, customer relationship management, and product growth objectives. Wanting to leverage this experience to positively impact society, Jeff transitioned to the not-for-profit sector where he enjoyed an eight-year tenure as National Director of Marketing for Canadian Blood Services. During this time, he oversaw all national donor recruitment programs, advertising campaigns, donor lifecycle management and brand building activities for the organization. Jeff is a graduate of McGill University where is received his Bachelor of Commerce in Marketing and Management Policy. Jeff also holds a certificate in Finance and Accounting also from McGill University and has earned certificates in Direct Marketing and Database Marketing from York University.